I just got invited to another baby shower; I swear this is like the third one this year. Luckily, when baby Grace came along (the catalyst for baby shower #1), I decided to make it easy on myself and go with my favorite thing to buy: books. Two pop-up books and one plush monkey later, I had my gift. And the precedent was set. For baby Jacob, it was two board books and a toy caboose. And now, for baby Kayden, I'm heading to the children's section of my local bookstore to buy him his very first book. Because the gift of reading is something I know he'll never outgrow. Totally agree, it's the gift that keeps on giving. 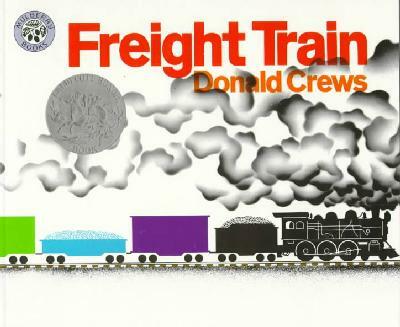 Freight Train was one of our favorites! I read it aloud so many times I had it memorized. What a wonderful idea for a shower gift. Much more enduring than my fallback of rattles and teethers! I love buying books for baby showers (and kids' birthdays, too). Totally agree!